The Polish American Community of Toledo is happy to announce that along with the Toledo Poznan Alliance of Toledo, we will again be awarding scholarships to High School/College students based on academics, extra-curricular activities and an essay submitted about “What Having a Polish-American Heritage Means To Me”. Last year four area high school or college students each received a $1000 scholarship toward their education. Click on PACT/TPA scholarship application button on the right of the screen to download a copy of the application. After filling it out, send it to PACT, P.O. Box 1033, Sylvania, Ohio, 43560 no later than May 31st. Winners will be announced in June. learn just how easy and fun it can be!! 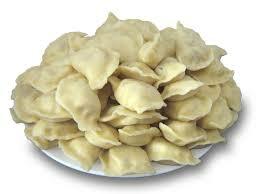 Has the thought of making pierogi made you nervous? It’s easy to do if you know the simple steps. Price includes: pierogi lessons, pierogi recipes, all ingredients, taste testing, one dozen pierogi to take home, and pierogi press **Please bring rolling pin and an apron if you have one. If you are a returning guest, please bring your pierogi press too. Stan Machosky and Rozanne Nitschke will guide you in the art of making three types of authentic Polish pierogi: cabbage, meat, and cheese. This is a hands on lesson on making the dough and fillings. After the lesson, everyone will be able to taste their pierogi creations. And there will be plenty for you to take home just in time for Easter. Guaranteed to be a hit at your Easter table. Call Sherry to reserve your place at: 419-476-1171 or 419-260-1970. Or Email me at sherryservis@aol.com Hope to see you all there. It’s bound to be a great time!! Space for this lesson is limited, so call and reserve your seat early! !